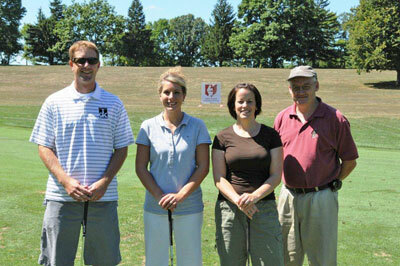 Poconos Golf Packages, Golf Courses, Getaways or Group Outings! Vacations and Getaways Include: Lodging at a reviewed hotel, 1 Round of Golf PP Per Day - Shared Golf Cart. Package Prices From $95 Per Person Per Night Midweek and $112 PPPN Weekends. Most played course in the Poconos Mountains. 27 holes. Varied courses, Located on resort grounds with indoor / outdoor pool, high end spa, fly fishing, horse riding, tennis, Huge indoor waterpark. Restaurants on site and 35 restaurants within 10 minutes. Mt Airy Casino with slots and table games less than 6 minutes away. One of the oldest and most respected Poconos golf courses. For the player who likes the challenge of rolling hills and smaller greens. Spanning over 7,200 yards and more than 200 acres, the course is located on the crest of Jack Frost Mountain and a natural oak forest. 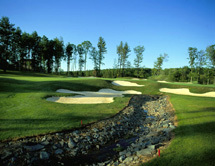 One of the newest courses in the Poconos Mountains. Near boating, beach, waterparks both indoor and outdoor and 22 restaurants nearby. Enjoyable for players of all skill levels. 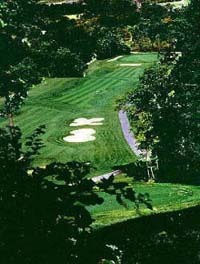 This Poconos golf course features some of the most challenging and picturesque holes in the entire north east. Just shy of 1,000 acres. A premium on accuracy, not driving distance. 2 eighteen hole courses on a heavily-wooded mountain top. Both are "traditional inland layouts" with wooded terrain & small & well-sloped greens with grass bunkers. The site of both Senior & LPGA Tour events. Shot accuracy is essential off the tees on both courses. The fairways are tree lined. Open - Play Golf ! With a country club atmosphere, Pocono Palace is perfect to indulge your passionate love of sports. Warm up your golf game by practicing on the putting green or the driving range. Then off to the 9-hole regulation golf course of velvety-smooth greens and challenging tight fairways. 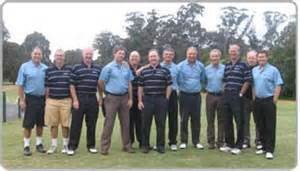 Poconos Golf Packages - Pocono Mountains of Pennsylvania - Small or Large Golf Group Packages now available! Testimonials or What Our Customers Are Saying About These Packages! For our 'non-golfers', please visit PoconosHotels.com for more vacation information. Interested in Golf Homes ? Interested in more about real estate in the Poconos? Visit the official Poconos Real Estate guide to homes in the Poconos Mountains of eastern Pennsylvania. East stroudsburg, PA 18301 in the Poconos 800-805-3559.